Before we leap ahead to June, I’ve rounded up a few of my favorite outfits from May – this year and last. I always enjoy seeing how other style bloggers and friends put their pieces together. 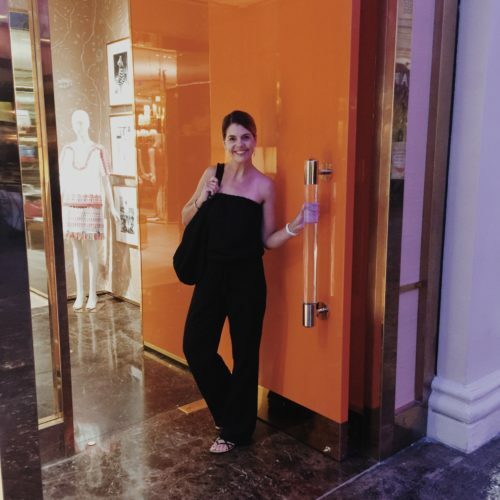 This inspiration allows me to better shop my own closet – creating new combinations with what’s hanging right in front of me. I hope by sharing what I wore, you too will find a few new ideas to take back, and remix your own closet. As always, if you ever have any questions on what I’ve put together, or would like an opinion – feel free to drop me a line, down below in the comment section. When I look back at May, the earlier part of the month was definitely all about denim, as the weather was slightly unpredictable. As we move towards June, both this year and last, I see I start to break out the skirts and dresses, as the weather heats up. 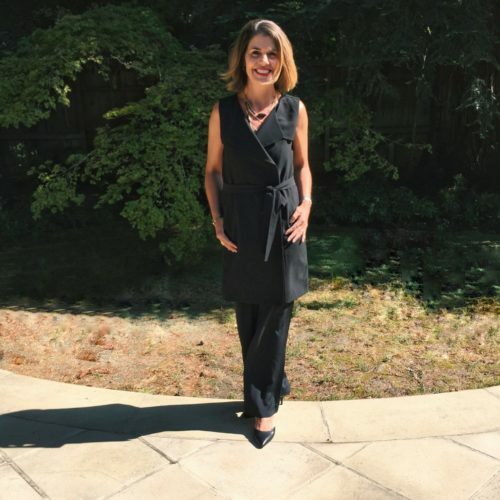 I don’t usually take photos of my work wear looks, as they don’t really change all that much (and honestly, I can wait to kick off my pumps in exchange for sandals – the minute I walk in the door!). But for you working moms out there, I have a few new looks, along with some date night looks, to share this month. Hudson ‘Mia’ dark flare jeans with Caslon button down tee. I LOVE this tee, as it reminds me of James Perse. Available in more colors. You can read the full review, and see it on at different angles in this Dressing Room Post, HERE. Hudson ‘Mia’ flare jeans, paired with a Coldwater Creek crochet duster. 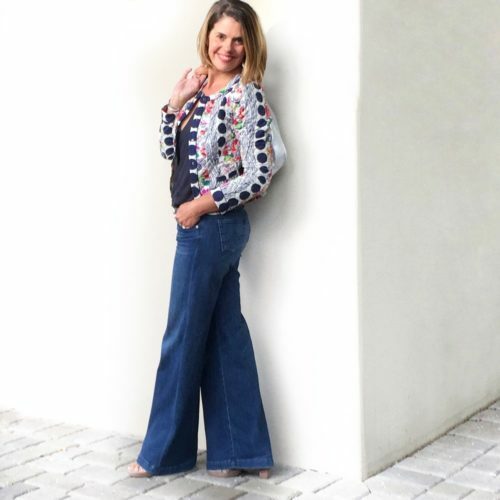 AG ‘Palazzo’ jeans and quilted jacket from Anthropologie (older season). Denim dress by Worth, paired with white wide leg trousers from Express. I love wide leg white pants in the spring/summertime. 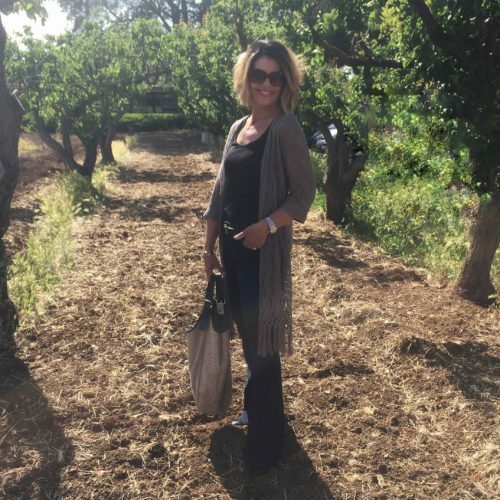 AG wide leg jeans, with J Crew peasant blouse and a Free People duster. 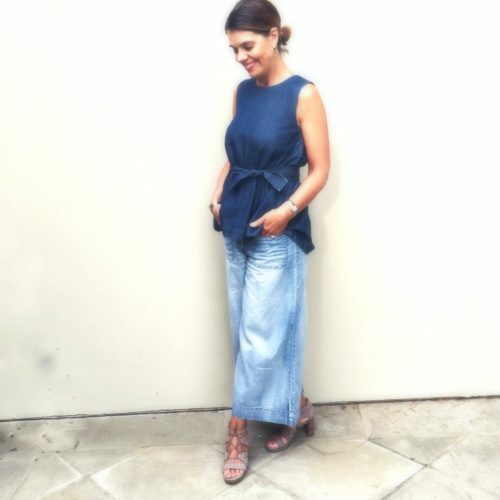 Denim-on-denim, with Paul Green lace up sandals. I like how this kinda looked like a jumpsuit! 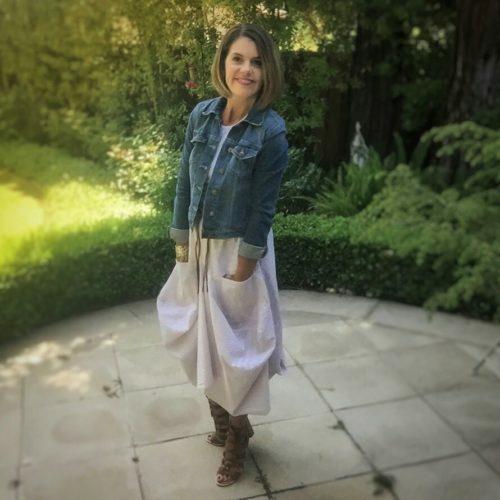 Headed off to the movies with the kids in a Hanna skirt (Poshmark), Joe’s denim jacket and lace up Dolce Vita sandals. Anthropologie skirt, Theory eyelet crop top, Banana Republic espadrilles. Asymmetrical skirt, black Theory tank, H&M bomber jacket, Alexis Bittar necklace. Kate Spade Saturday denim tie top, Carmen Marc Valvo printed scuba skirt. Joie maxi dress paired with Coldwater Creek duster and Vince Camuto ‘Evel’ Sandals. 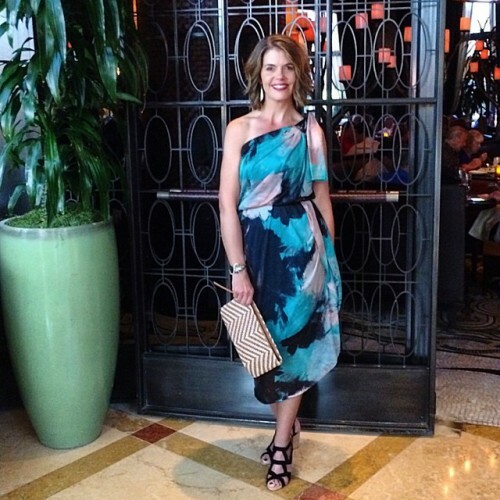 Joie strapless gauze jumpsuit, J Crew sandals and handbag. Bailey 44 sheath dress, Rebecca Taylor crop jacket, Rebecca Minkoff lariat, Prada cap-toe pumps. This lariat and crop jacket are two of my favorite new pieces! 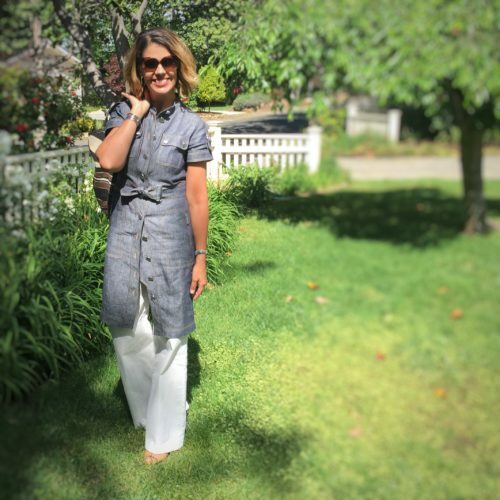 Ann Taylor trench dress – worn as a topper, with Vince silk pants, Alexis Bittar necklace. 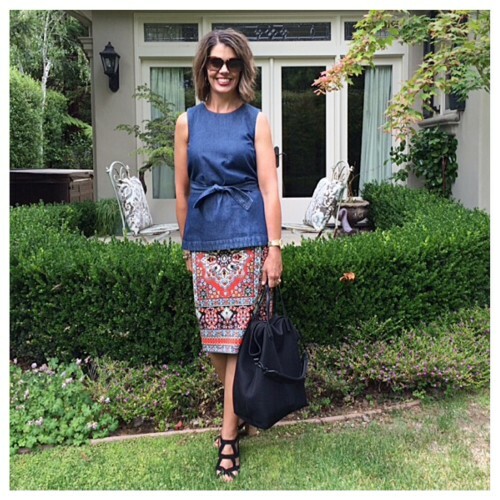 Same Alexis Bittar tiger eye necklace in both photos – here with a wrap dress. Trina Turk statement jacket and pencil skirt. Ella Moss Jumpsuit, Paul Green cage sandals. Halston Heritage dress, Alexis Bittar jewelry. 3 Dot convertible skirt – worn as a dress, Lilly Pulitzer for Target kimono, J Crew clutch and jewelry. Anyone else finding they are transitioning into skirts, as the weather heats up? Anyone else ready for school to be out, and summer to begin? A little note: “Blogs I Read” has been added back onto Ask Suzanne Bell. This is a list of blogs I personally follow, not all, but regulars. This page automatically updates – whenever the author posts something new. My hope is that this new format makes it easy, so you don’t have to hunt around for your favorites. While you are here visiting, you can simply pop on over and see what’s new out in the world of blogging. Not all are fashion or style blogs, you may just find one you love! Hi Candace! Thank you for stopping by! I do love a dress with pants for the reason you mentioned. 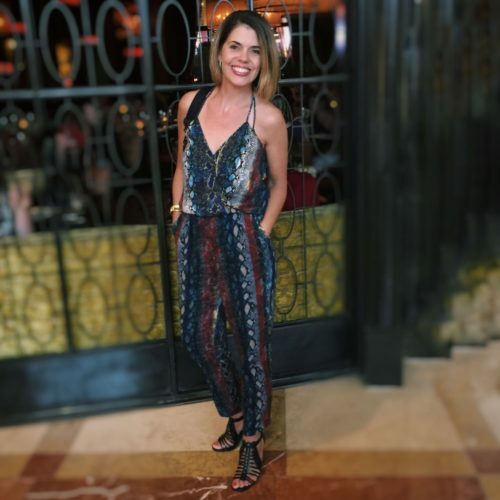 I am not a huge fan of my knees (I know wierd) and so when dresses are shorter, especially in the spring before the summer glow sets in, I pair them with a wide leg pant. I also have long legs so dresses hit me on the shorter side anyway, and when I sit down I feel a bit exposed 🙂 I also like a dress paired with a skinny pant or capri. Just think of it as a tunic. 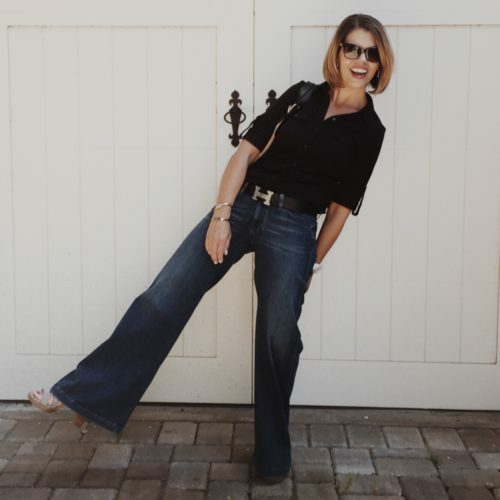 It’s just another way to stretch our wardrobe!The key is finding a pant that lies flat on the waist – so it doesn’t stick out and mess with the lines of the dress. Have a great week! I am a anything with pockets fan so i really like that light colored skiRt also the black and white outfits are so versatile. Honestly i like everything you posted ! In my mind i even combined some of them in a different way. 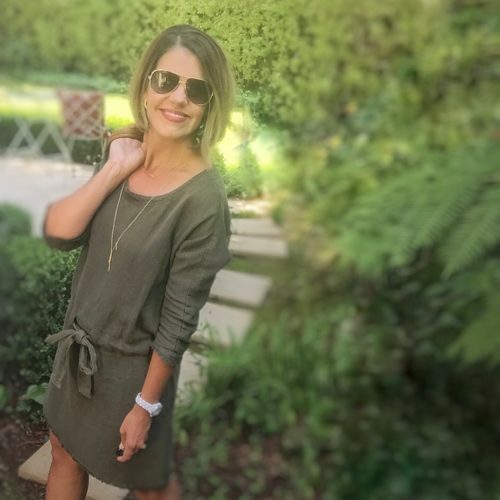 The dresses with pants are doubLe duty on a trip with a few tops along. I like a shirtdress opened up for a light jacket with a tee and pants. Great summer tips. Thanks ! That skirt with the massive pockets is wild. I’m also loving that denim top with the tie at the waist. With the summer heat that has arrived I’m all about the summer dress or skirt now. You’ve got a great sense of personal style. I love your style! 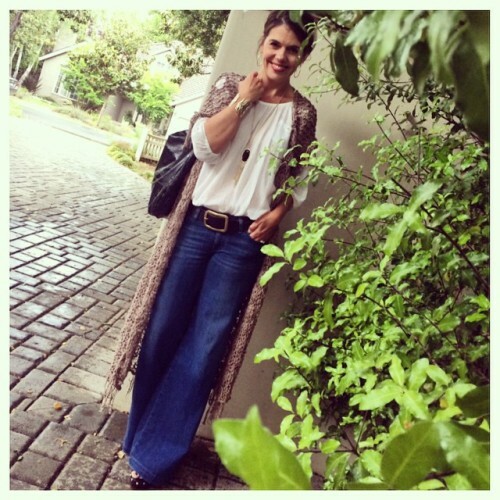 I especially am loving all of your wide leg jeans and that crochet duster is fabulous! WOw! I wish I had your wardrobe. Hi Suzanne — I am loving these outfits but the one that I’m the most smitten with is the denim on denim. I’m not typically a fan of that, but this outfit is wonderful. you don’t say anything about those two pieces. could you tell me who makes the jeans and where i might find them?